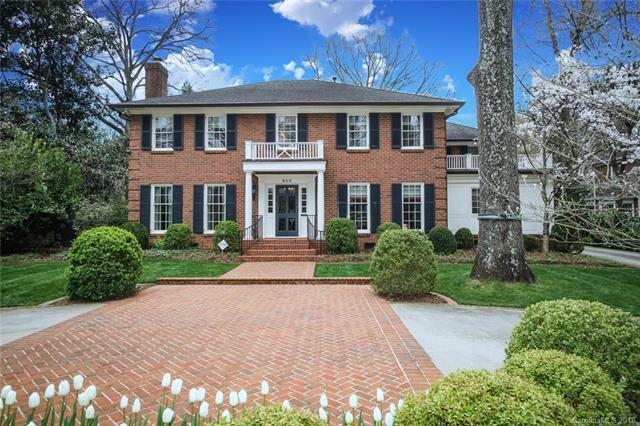 Incredible Eastover home featured in House Beautiful for its rich colors and warmth. Main level includes formal living and dining rooms, each with a fireplace, intimate library and inviting family room. Expansive gourmet kitchen with marble and stainless-steel countertops opens to breakfast and keeping rooms. Two dishwashers, wine storage plus a butler’s pantry and separate wet bar make entertaining a breeze. Handsome lacquered mudroom with cubbies and beverage fridge provide added functionality. Two staircases access the second level where no detail was spared in the game room or office, each with custom built-ins. Four charming secondary bedrooms all have private baths. Renovated master suite includes huge, custom walk-in closet and spa bathroom. Large laundry room and endless storage make for easy living. Spacious backyard, covered porch and patio dining are accessible through French doors in wet bar or family room. Attached two-car garage leads to circular driveway in front.